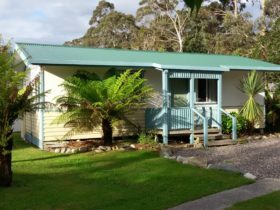 Strahan is a picturesque fishing village on beautiful Macquarie Harbour and sits on the doorstep of Tasmania’s World Heritage Wilderness Area. 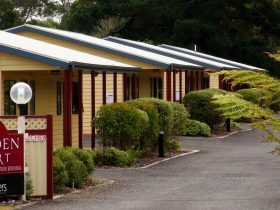 Strahan has a unique pioneering heritage and a dark convict past that is at odds with the beauty of the surrounding forests and wilderness. 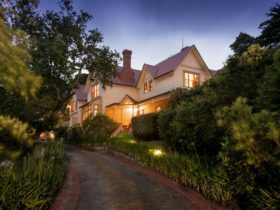 The town has many stories to tell of the convicts and pioneers who tamed Tasmania’s West. Sarah Island in Macquarie Harbour was once the most cruel convict prison in Australia and is a reminder of the brutal treatment handed out to Tasmania’s convicts. An ideal starting point for any visit to Strahan is the Strahan Visitor Centre with its excellent display recounting the story of Tasmania’s West Coast. From Strahan, you can take a cruise along the Gordon River into the World Heritage Wilderness Area of the Franklin-Gordon Wild Rivers National Park, passing through one of the last pristine temperate rainforest in the world. 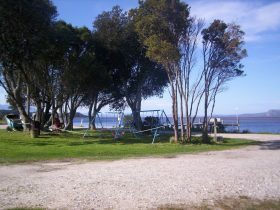 At the northern end of Strahan Harbour is the People’s Park, a combination of natural forest and botanical gardens with picnic and camping facilities. From here, visitors can take a 60-min return walk to Hogarth Falls through rainforest with the trees identified for those interested in botany. 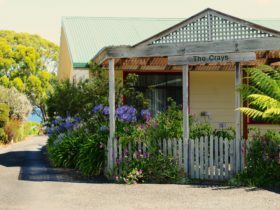 An essential experience in Strahan is a visit to Ocean Beach. Standing on this hard, flat beach with huge waves breaking on its shore, visitors are further south than the Cape of Good Hope and on the same latitude as the southern reaches of Patagonia. Ocean Beach, just out of town, is 40 km long and the dunes behind the beach are huge. On a fine day, the sunsets over the beach are particularly beautiful. Strahan is a 4.5-hr drive (300 km) from Hobart and a 3-hr drive (226 km) from Devonport. 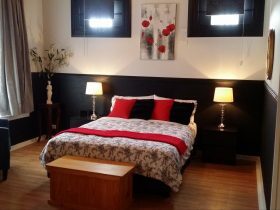 Strahan is an Urban Location area within the local government area of West Coast in Tasmania, it is located approximately 183kms from the capital Hobart and extends over an area of 309.949 square kilometres. Strahan has a recorded population of 708 residents and is within the Australian Eastern Daylight Time zone Australia/Hobart. 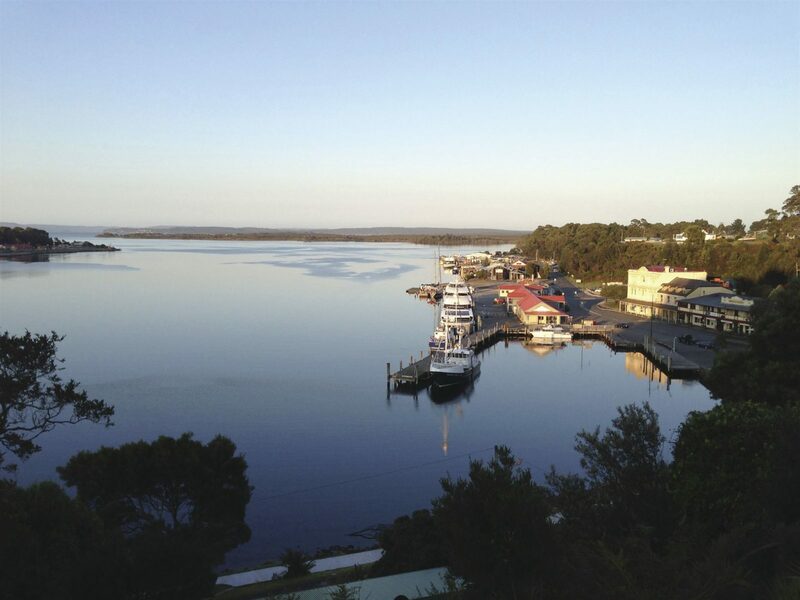 If you are planning a visit to Strahan we’ve put together some of the things you can see or do while you are here. These include, places to stay, tours and attractions, some upcoming events and places where you can grab a meal. Go ahead, try one of the buttons above. Every destination has something worth seeing so start exploring… If you know Strahan and think we’ve missed something, let us know and we’ll share it here.